Enjoy a striking destination inspired by an extraordinary landscape melding the offerings of valley wine tasting, outdoor recreation, and renowned spa treatments. Embrace the warm and unsurpassed beauty of California's Wine Country with a stay at our beautiful hotel in Livermore. 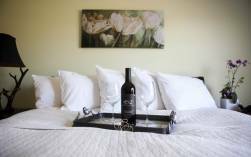 Our premium amenities, attention to detail, and wonderfully comfortable suites are what make The Purple Orchid Wine Country Resort & Spa stand out among other Livermore hotels. Enjoy private fireplaces and delicious breakfasts during your stay with us. We guarantee guests will feel relaxed and rejuvenated during their visit when they take advantage of our Livermore spa, offering a number of revitalizing treatments and packages. 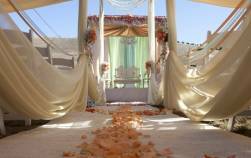 If you are getting married, our bed & breakfast is a gorgeous wedding venue and is the perfect place to make your dream wedding come true. 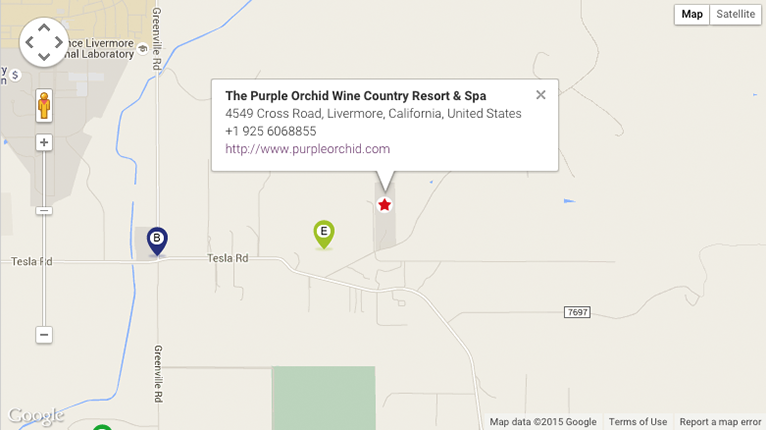 The Purple Orchid Wine Country Resort & Spa is centrally located in Livermore, which allows guests to be near all the best things to do. Take in the natural beauty of Livermore Valley, enjoy the many local wineries, or taste some of the delicious restaurants in the area. 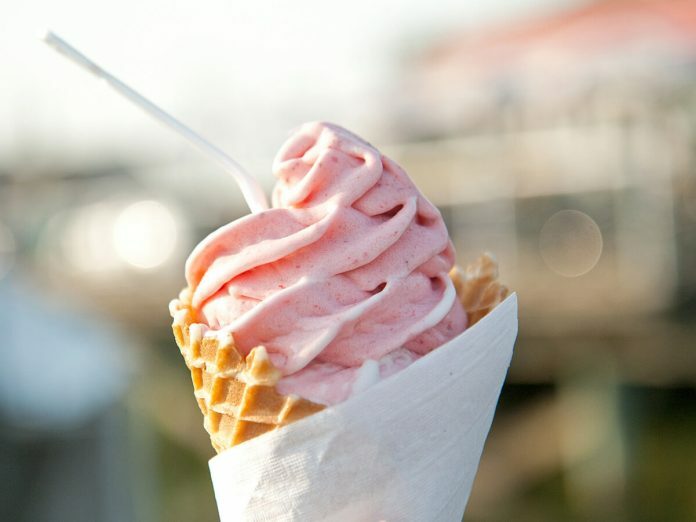 There is something for everyone to enjoy during their stay. If you are looking for an alternative to a Napa Valley or Sonoma Valley inn, our California wine country hotel is a perfect choice. We are less than two hours away from many popular Sonoma and Napa Valley wineries but don’t miss out on the plethora of Livermore vineyards. If you want to enhance your stay, explore our Livermore vacation packages. The Purple Orchid is your destination for a vacation full of fun, relaxation, and luxury! Experience everything California and the Tri-County Valley have to offer when you reserve a luxurious suite at our wine country hotel in Livermore. 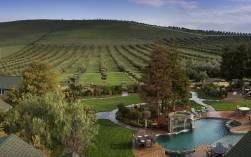 Beautiful views of the vineyards and farmlands of Livermore accompany this king sized room. Located on the main level of our main lodge, Vintner’s Estate is one of only three rooms where in-room breakfast service is available. Intimacy and privacy await. This large and spacious suite offers the ultimate in relaxation with a large living room, king sized bed, and tub for two. Intimacy at its finest. Views of the Manzanilla olive orchards, rose gardens, and our beautiful log cabin main lodge await.